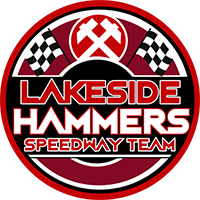 Lakeside team boss Will Pottinger admits his side have “momentum” after a nail-biting away win at Scunthorpe. The Hammers grabbed a 45-44 victory at the Eddie Wright Raceway thanks to Richard Lawson’s clever last heat decider win. Lawson managed to get past Jason Garrity and Jake Allen and hang on for a vital success. 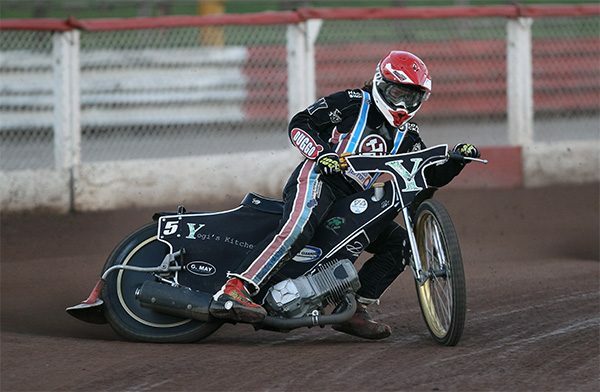 Now Pottinger insists his side mustn’t be “complacent” ahead of the return in Essex on Saturday night. He said: “That Heat 15 was big for us. Everyone has gone home happy and with confidence ahead of our home meeting with Scunthorpe. It would have been very different if we’d lost narrowly in the end. “We’re on a winning run and feel like we have some momentum. It was a bit nail-biting at the end. But Richard came good in Heat 15. He came past them on the inside and he had Jason Garrity and Jake Allen on his tail. “Richard did a great job. Garrity was all over him but he did just enough to win and get us over the line for a big win. “Scunthorpe have got a good solid team. That result keeps us up at the top of the table which is obviously where we want to be. “Everyone played their part. The reserves probably made the difference because the out-scored the home guys and that was massive. “Now we must focus on Saturday night’s meeting against Scunthorpe at home and another win will keep the pressure on Peterborough who are above us. “If we can keep up our good home record against Scunthorpe it will set us up nicely for when we go to Peterborough next week. It was a see-saw battle in the early stages at Scunny but the Hammers established a three-point lead after Heat 11. But the lead was cut to just one-point and then the last three heats were shared in a nerve-shredding finale, Lawson keeping his nerve to win the final heat and complete a fine paid 14 return. Pottinger also admits that it’s now crunch time for the Hammers as they face some big clashes over the next fortnight. He added: “This is now getting to the business end of the season. We are racing against the well-fancied or teams at the top of the table so any points that we take off them or victories, it’s a massive boost. “If we get results against the big sides it sends out a message that we mean business, especially away from home. “We’ve got such a good home track advantage when it comes down to aggregate matches we’ve got a good chance to win over two legs. Jake Allen 13+2, Jason Garrity 12, Josh Auty 9+2, Charles Wright 6+1, Danny Phillips 2+1, Gino Manzares 2. Richard Lawson 13+1, Adam Ellis 8+1, Nick Morris 8, Nikolaj Busk Jakobsen 6, Alfie Bowtell 5+3, Ben Morley 5+1.